Are you practicing yoga correctly? Are you making mistakes that could cause you an injury? Is there a correct and incorrect way to practice yoga? Whether you are taking just one or two yoga classes per week or even per month, or maybe you're a certified yoga teacher, it's important to ensure you are practicing yoga safely. Instead of saying one method is correct versus another method being incorrect, I prefer to give suggestions that are based both on my personal experience and what I feel is safe for most people's bodies. Many yoga classes pack so many students into the class that it's not always easy for the teacher to correct every mistake and assist each person. I love teaching private or small classes where I have the opportunity to provide this individual and personal attention and care. Without this personal attention, many people can become injured through practicing yoga if they are moving their body or holding a pose with poor alignment every time they take a class. If you try to avoid these 7 yoga common mistakes people make, as described below, and follow my tips and guidelines , I believe you will have a higher chance of staying safe, injury free and enjoying your yoga practice even more. Personally, I have extremely hyper flexible elbows. They are somewhat double-jointed and bend back in a way that is quite unpleasant to look at and has become quite an interesting or fun party trick, making people cringe and raise their eyebrows. As much as it's maybe an interesting party trick, I need to be very careful because this hyper-extension can be damaging to my elbow joints if I put pressure on the joints when they are in this position. For example, when holding high plank pose, side plank pose, or downward facing dog, in fact any yoga pose where there is weight on my arms, hands and shoulders and my arms are straight, it's important to keep a slight softness in my arms in order to prevent them locking and hyper-extending. It is also common for some people to have hyper-extension in the knees. So keeping a softness in the legs instead of locking them is important to support the knee joints and prevent wear and tear of the knees. In general, women often have greater hyper-extension in their joints than men, so this is something to watch out for if you are a woman. It's also super important to be aware of this with your clients if you are a yoga teacher. There are many ways that we can be incorrectly aligned in yoga poses. One example is in Warrior 1, Warrior 2 and High Lunge poses, the knee often moves inwards or extends further forward than the ankle. Both of these positions of the knee can cause wear and tear of the knee joints, tightness in the ITB (Iliotibial Band), pain in the outside of the knee or underneath the kneecap, and other knee problems and hip issues over time. It's important to keep the knee directly over the ankle, even drawing it slightly towards the pinky toe side, in order to support the knee and help strengthen the quads and hamstrings. 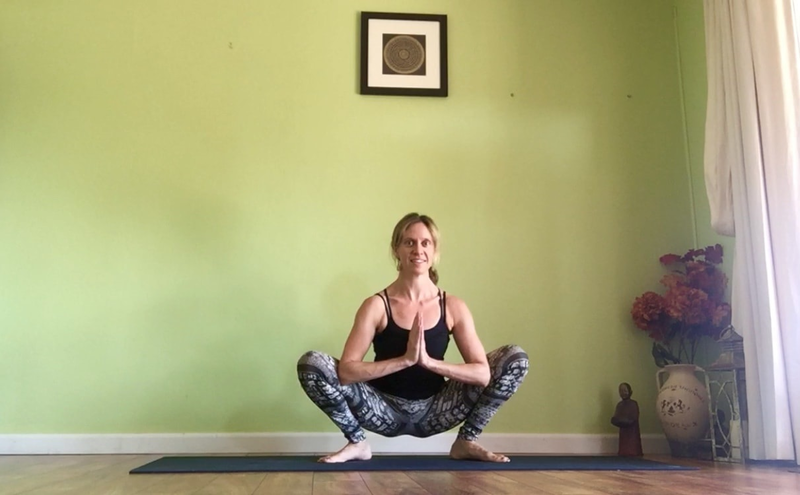 Another example of incorrect alignment is allowing the extended arm in Triangle Pose, Side Angle Pose, Half Moon Pose and others, to extend far behind the torso. This can cause the hand and wrist to be too far behind the shoulder, placing a lot of pressure on the front deltoid, the front of the shoulder, and the shoulder joint. It's important to make sure the wrist and hand are directly above the shoulder, so the bones are stacked and you are supporting the shoulder correctly. There are numerous other incorrect alignments, too many to list them all in this post. I will write another article soon about specific yoga pose alignments. Meanwhile, the good news is that one of my yoga teachers recently wrote and published a book called The Perfect Chaturanga. Her intention in writing this book was to help people to practice yoga more safely, with correct alignment in every pose, and be able to reap all the wonderful benefits of yoga while remaining injury and pain free. One of the most challenging and incorrectly performed yoga poses is Chaturanga Dandasana, hence the name of her book. In many yoga poses, people let their belly relax and do nothing. This can create arching in the low back, which can in turn cause a lot of pressure on the lower back and hips. Over time there may be some compression of the vertebrae, sciatica and lower back pain. It's important to engage your core by drawing the belly and deep lower core muscles back towards the spine. This helps to support the lower back, by lengthening the lower spine, creating space in between the vertebrae, stabilizing the hips, creating a neutral pelvis and strengthening the core. The more we strengthen our core in yoga, the more naturally our core will engage during other activities in our lives. Since our core is our energy center, our power center, we want to be living our lives from our core, this center. While learning and teaching Chi Walking and Chi Running, I learned about a concept in Tai Chi called "Needle in Cotton". This theory describes our core being our strong needle and structure when aligned correctly, and our arms and legs being like cotton, loose and relaxed. This principle of Alignment of our Needle, our core, and Relaxation of the Cotton, our extremities, can be applied to everything we do in life, including other physical activities and movement, and even driving or sitting at our computer. My breathing used to be very shallow, only breathing into my chest, not into my belly. I believe this is one of the reasons for the anxiety I suffered as a child. Or perhaps the anxiety in turn caused the shallow breathing. Either way, they work together and feed off each other, shallow breathing, anxiety and stress. When we are not breathing deeply, our body is often tense and alert, sometimes in a state of fight or flight. When we breathe more slowly and more deeply, all the way down into the belly, our body and our nervous system become much more relaxed. This relaxation allows us to move more deeply into each yoga pose, with greater ease and less effort. As you breathe deeply during yoga, use the inhale to breathe in positive energy and expand the upper body slowly, and use the exhale to deepen into the pose, softening into any area of discomfort or tension, and breathing more calmness throughout the body and throughout the mind. The phrase 'no pain, no gain' is an old-fashioned myth in my opinion. It certainly does not apply to your yoga practice! In yoga, I recommend moving into each pose slowly, smoothly and mindfully, with no force and no great effort. Use the breath to guide you, and when your body is ready to move deeper into a pose, use the exhale as you slowly begin to soften the muscles and deepen. This technique can be used in other aspects of your life as well. We spend so much of our lives trying hard to do things and using a lot of effort. When we slow down, use our breath, and stop trying so hard, everything becomes much more effortless and enjoyable and we begin to find our natural flow. Yoga is an inner practice. Accepting where you are on your journey of yoga and not comparing yourself to others might be one of the most challenging aspects to your practice. When we compare ourselves to others, in yoga or in anything in our lives, we can find ourselves thinking we are not good enough, not flexible enough, not thin enough, not smart enough etc. Many people look around in class and watch others or look at themselves in the mirror and judge themselves in some way. This judgment can be extremely detrimental. As a yoga teacher, I sometimes tell my students to close their eyes and bring their mind focus inside and breathe and feel how they feel. This can often be the most transformational time during a yoga class, when we truly bring the practice inwards. I teach a weekly class to blind members of the Lighthouse For The Blind. This has been one of the most inspiring yet challenging classes for me as a teacher. I have learned so much from these students and feel so blessed to be able to teach and inspire the blind and visually impaired to move into this inner space of deep peace and well being. So inspiring. It can sometimes help to motivate us to grow and improve when we have someone to look up to and inspire us. That said, it's important to notice the difference between feeling inspired and motivated when comparing ourselves to a more advanced practitioner or teacher, instead of feeling defeated and useless. It is often said that Savasana is the most important pose in yoga. As much as I love moving through the physical postures and flow, I wholeheartedly agree with this statement, and encourage you to contemplate this as well. The reason that the physical poses were originally created was so that the yogis in India could sit in a seated, cross-legged meditation posture for long periods of time without experiencing pain or soreness in their body. So let's use Savasana as an opportunity to stay still, quiet our mind and meditate. The goal of yoga is to seek a deep inner peace and happiness through meditation and ultimately move into a space of spiritual enlightenment. The physical practice can certainly help us to relax our bodies and calm our minds. However, it is often during Savasana where we find ourselves moving into this deeper state of total relaxation, union, peace and perhaps a glimpse of the unlimited potential of enlightenment. Are you now ready to take your yoga to the next level, preventing these common yoga mistakes people make so you too can transform your body, calm your mind and tap into your soul? I'm going to be writing more articles teaching correct yoga pose alignment, particularly to address specific issues, as well as videos coming soon. Feel free to comment below and let me know what topics you would like to read about or leave any feedback and questions you have, and please share on social media if you found this article helpful! Check out some related yoga best practices articles below. Do you have pain or tension in your shoulders? Sitting at a computer or desk for hours a day. When we are correctly aligned in Triangle Pose, we are creating three Triangles with our body. Do you experience low back pain? Perhaps if you spend a lot of time sitting down or driving? The Body Flows website contains information intended to assist you in improving your health and overall well being, however, the information presented herein is offered for informational and educational purposes only and is not a substitute for the professional judgment of a medical professional. Body Flows makes no warranty or representation whatsoever regarding the services or products provided through or in connection with the website. Please use your own discretion when performing any postures. Work at your own level and explore your own limits. The reader and viewer of the information presented by this site assumes all risks when using the information provided herein. This site's operators, authors, owners, and affiliates disclaim any and all liability from the information provided herein. Any medical, financial, legal, health, psychological or other information provided on this site is not intended as a replacement for professional consultations with qualified practitioners. If this site provides health-related or medical information, no such information provided by this site is intended to treat or cure any disease or to offer any specific diagnosis to any individual as we do not give medical advice, nor do we provide medical or diagnostic services. We recommend that you seek professional medical advice before performing any techniques, poses, postures or routines presented on our site. We thank you for visiting us and want the best for you, your practice and your health.